At the heart of it all facing the world famous Victoria Harbour, International Finance Centre complex (“ifc”) is a truly inspiring place to work, shop and live. 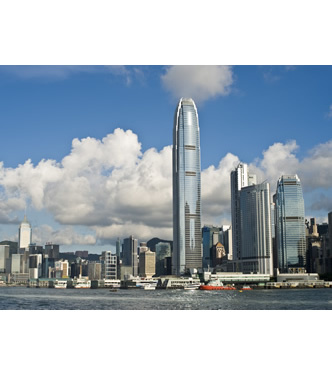 The landmark of Hong Kong’s financial and commercial heart of Central, ifc comprises two awe-inspiring Grade-A office towers – One ifc and Two ifc; the famously sophisticated luxury shopping mall – ifc mall, the internationally renowned Four Seasons Hotel and Four Seasons Place. 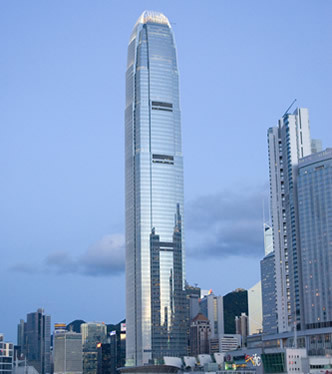 One ifc offers 784,000 sq. ft. of prime office space over 39 floors whereas Two ifc, designed by the world-renowned architect Cesar Pelli, is an 88-storey tower and standing 420 metres tall, it is one of the tallest buildings in the world. A great obelisk against the city skyline, the sculptural crown on top of Two ifc serves as a welcoming gesture for the city. Both towers offer the latest and the best in technology, facilities and security. Together with 360-degree breathtaking views over the harbour and the city, ifc is truly the inspiring place for doing business. 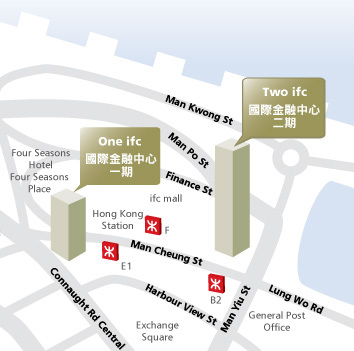 Atop a major transport interchange, ifc is easily accessible by all forms of public transport including the Airport Express Link. 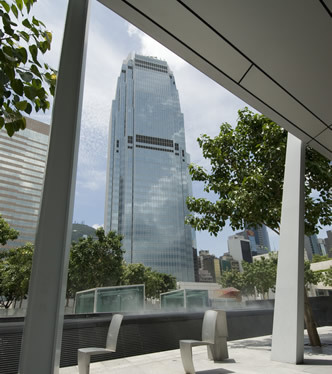 At Central Waterfront and with its superior architectural style, ifc has become a daily destination for many, especially among the elite and privileged in Hong Kong.